I apologize for the delay between my initial post about our plans to blend our last name and this one announcing the name (but we've been a little busy lately). 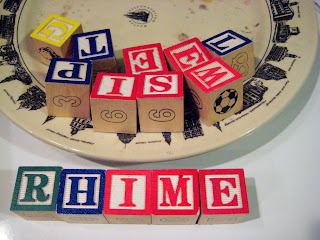 Our new last name is Rhime (pronounced like "rhyme"). I like that the name retains one sound from each previous name (the "rye" from Reiswig and the "em" sound from Temple) while having a different sound. It has two letters from each original name and one (bonus!) letter, the "h" for "hugs" and "happy" and "harmony." ...Or something. We have a hearing date in several weeks which will finalize it legally for all three of us, and then we plan to have some sort of celebration. We're going to send out an announcement to family and friends, too, so if you fall into that category and you're reading this and you think I might not have your current address, please send me an email! What a great last name! Congratulations. How very cool! Do you think any of your family will be hurt (that you chose to change it)? (Of course) Jaymz and I have talked about it with our families of origin, and they've known about it longer than it's been "public" news. We've gotten mixed reactions, and have had very meaningful conversations with some family members (and there are others who aren't ready to talk about it). This choice was not made lightly or without (years of) consideration and deliberation. My sincere hope is that with time and mutual understanding, any hurt that my be felt now will be overpowered by joy and celebration for this way we've chosen to blend our names. What a beautiful-sounding and meaningful name! Love the multi-layered symbolism. 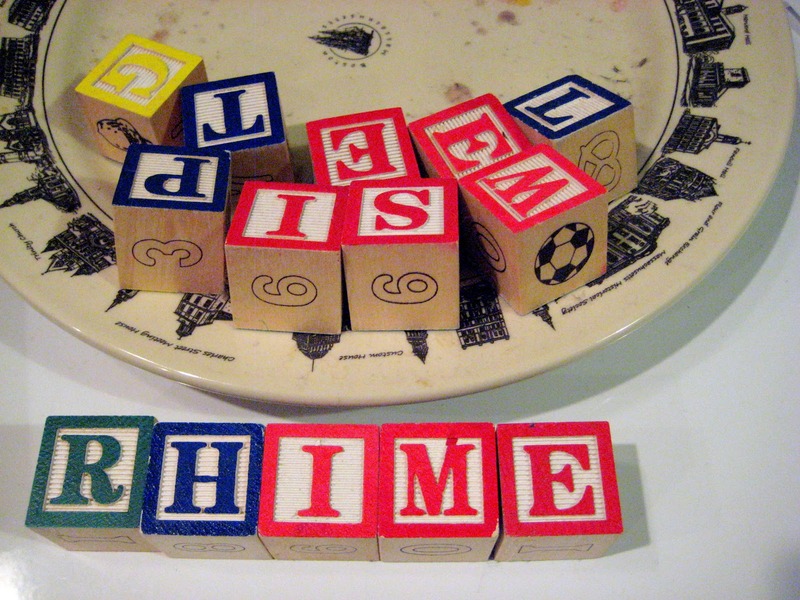 It's a great name, Amy Rhime. I'm happy for you all, and I hope you love your name forever. Not surprising coming from the creator of "Anktangle." I LOVE your new name. Thank you all so much for your kind words and congratulations! It means a lot to me. Congrats on your new name! I love that you both immediately knew it was THE name. Thank you! Yes, we're in Portland, OR...loving the sunny Fall weather. =) Daniel was two in May, so they're about the same age. Thanks for commenting!